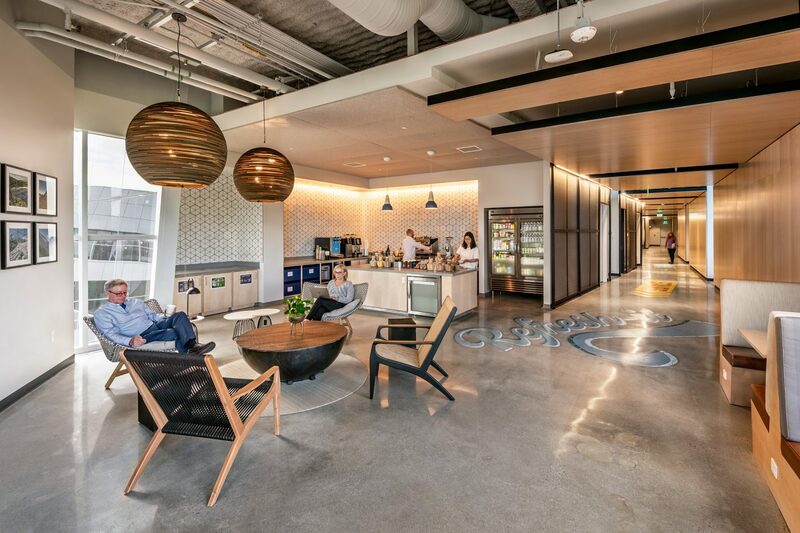 This interior refresh for one of Google’s buildings includes three floors of office space. The open work plan implements a variety of pod layouts. 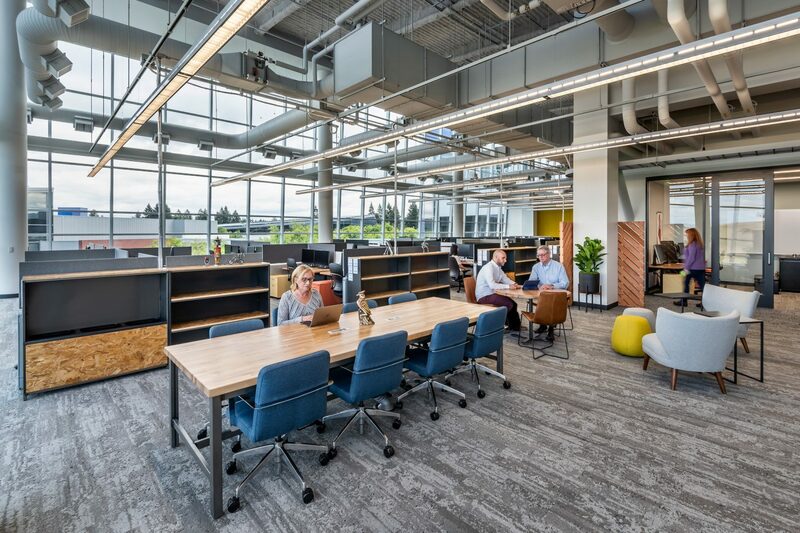 Assigned desks are augmented with touchdown spaces, plants and soft seating are placed throughout. 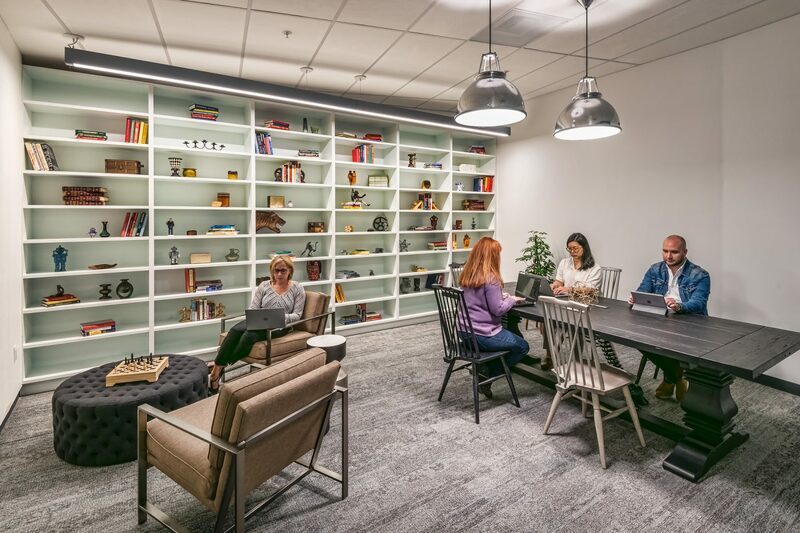 The project’s scope includes informal lounges, a coffee bar, library, phone and huddle rooms, meeting rooms, and a game room. 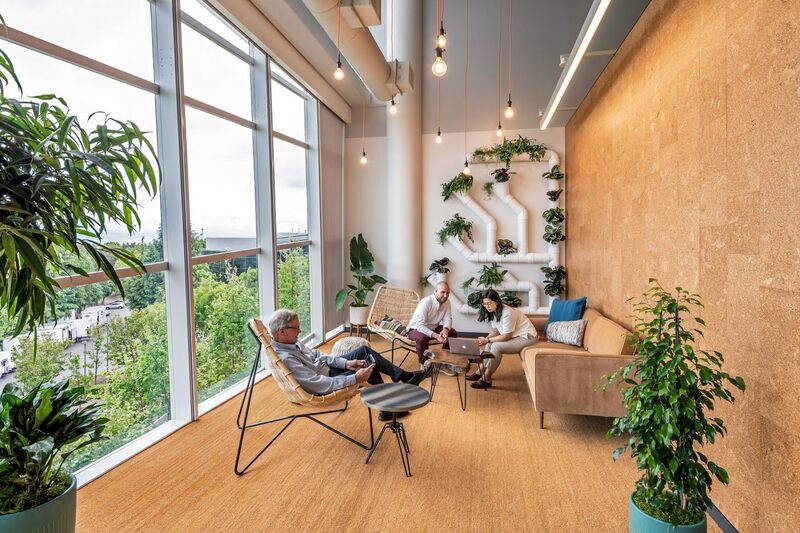 The design implements clear and effictive circulation, and project goals emphasize active collaboration spaces and moments that encourage casual collisions. Glare control and acoustic comfort were of utmost importance to the client. 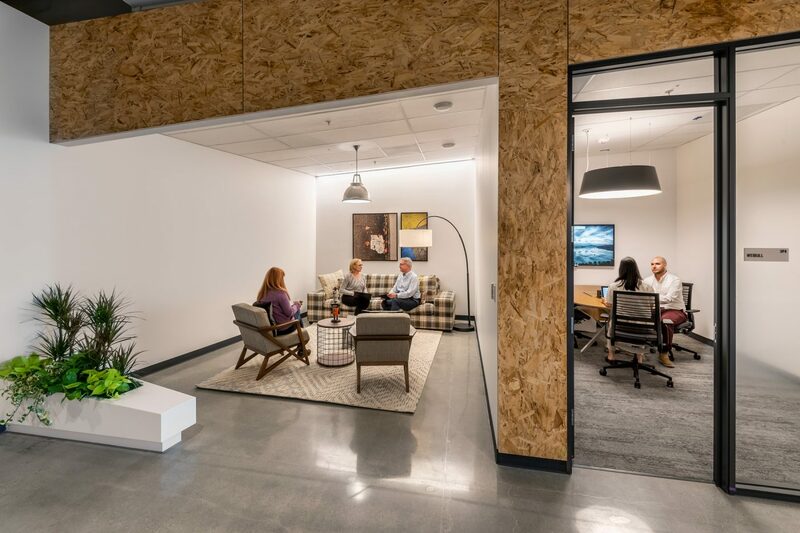 Daylighting solutions included glare protection, replacing existing low-performing dark film with high performance film, and mechanized shades that respond to daylight with manual override.